Von Kossa Method for Calcium Kit | Polysciences, Inc.
Photo: Calcified Necrotic kidney section, 4 microns, stained with Von Kossa Method for Calcium Stain Kit. Von Kossa Method for Calcium Kit demonstrates calcium phosphate and calcium carbonate salts. Von Kossa Method for Calcium Kit can reveal calcium deposits seen in metabolic diseases, Paget’s disease, renal osteodystrophy, hyperparathyroidism, infarction (Gandy Gamna bodies), necrotic areas associated with TB, atheroma in blood vessels and Malakoplakia in the bladder (Michaelis-Gutman bodies). It is also used as a bone stain to indicate Osteomalacia. 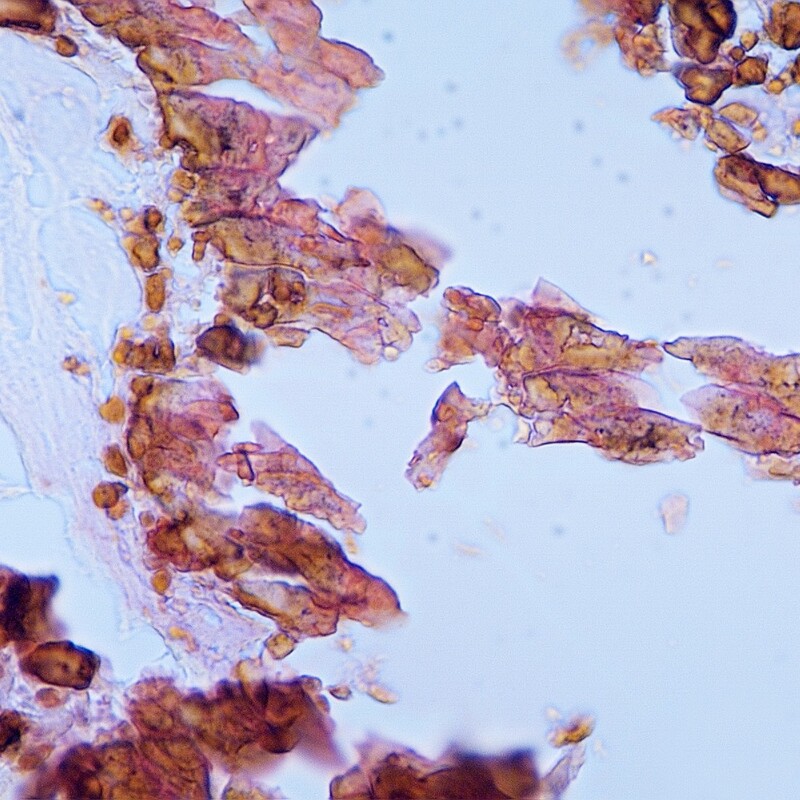 Micrograph Caption: Calcified Necrotic kidney section, 4 microns, stained with Von Kossa Method for Calcium Stain Kit.